Measure, record and track vitals via Bluetooth with our pro health console powered by addison care. The console features a sleek and modest design that will blend in perfectly with your other devices. Every system comes standard with pocketMD, and our comfortable fitness style wrist pendant. The premier series by electronic caregiver is the leader in medical alert and safety devices. The fitness style wrist band is simple, comfortable and an accessory people will envy. Coupled with our mini controller for voice messages, medication reminders and pocketMD, you'll be unstoppable. When electronic caregiver was founded, we knew two things: one, there was an enormous market need for improved, technology based care and two, no one else in the industry had perfected health and safety monitoring. After 10 years of research and innovation, we are ranked as one of the top providers in the health and safety monitoring industry. We’ve saved thousands of lives over the past ten years. 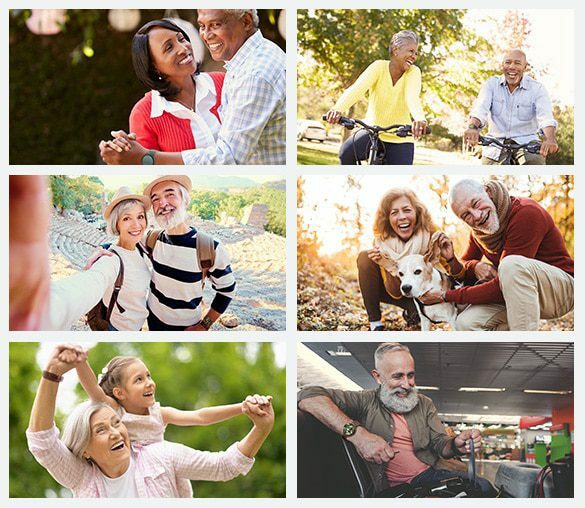 We are committed to providing a modern and unique health & wellness solutions to the active aging, chronically ill and everywhere in between. We’ll be there, everywhere you go. Our promise to you. Where style meets functionality in the world of medical alerts. Long gone are the days where you had to sacrifice fashion for function because at electronic caregiver you can have both! 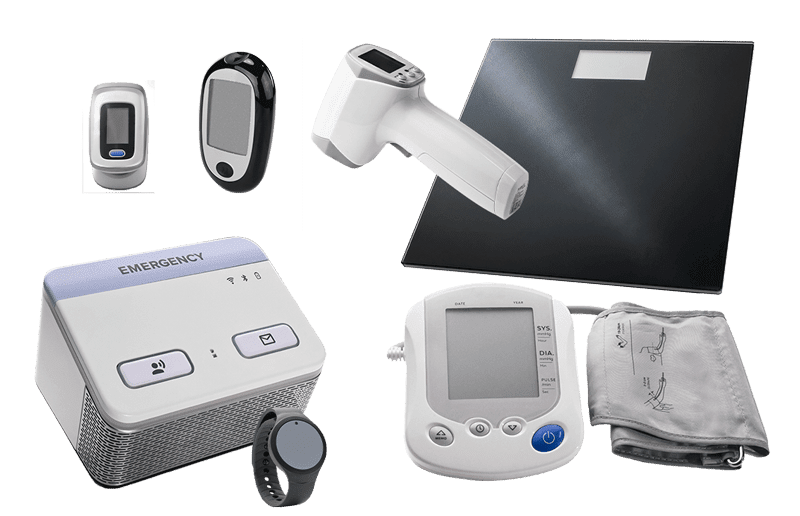 Addison Care by Electronic Caregiver is cutting-edge technology developed by a dedicated team of staff that specializes in both computer science and patient care. Stay connected with our Family Care App. 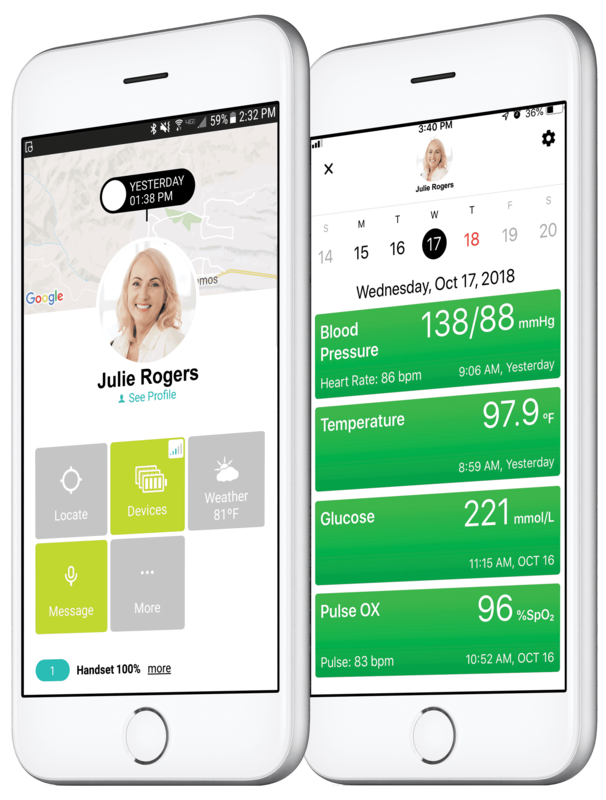 Send personalized voice messages, program your favorite locations and track your vitals with our Bluetooth technology. A fitness band style, submersible, emergency wrist alarm pendant with long range capabilities. This light weight, attractive safety device is worn 24/7 and provides reliable protection and because it doesn’t look like an emergency button, our clients love wearing it. Customized activity detection verifies you’re active. In the event you might be unconscious and unable to press a button, we’ll know something is wrong as an alert signals the emergency response facility. Personalized, monitored medication reminders keep you on track with your care plan and if you don’t respond to the reminder, we can check to make sure you’re okay. Both Android or iOS apps are available for family members who can be empowered with access to check on a loved ones whereabouts, check on system status or an event, or even send a personalized message or reminder. Our EMT operators stay on the line during emergencies, reassuring, advising and assessing, until a responder is actually kneeling at your side. With pocketMD, you can connect with a doctor round-the clock 365 days a year. It’s easy, it’s affordable and like having a team of medical experts in the palm of your hand at all times. Record your oxygen levels and heart rate via our simple and easy to use pulse oximeter. Just slip it on and let the system do the work for you! Measure, record and track your weight with our Bluetooth scale. Just step on and receive your reading in seconds. Just point and shoot for an instant and accurate body temperature. Your console will save it, and you'll be able to access it in the Family Care App. Need help keeping track of your glucose levels? We're here to help. Simple stick and the pro health console will take a reading and record it for you. Blood pressure readings are safe and easy with our Bluetooth blood pressure cuff. The health console will measure your reading, and you'll be on your way. 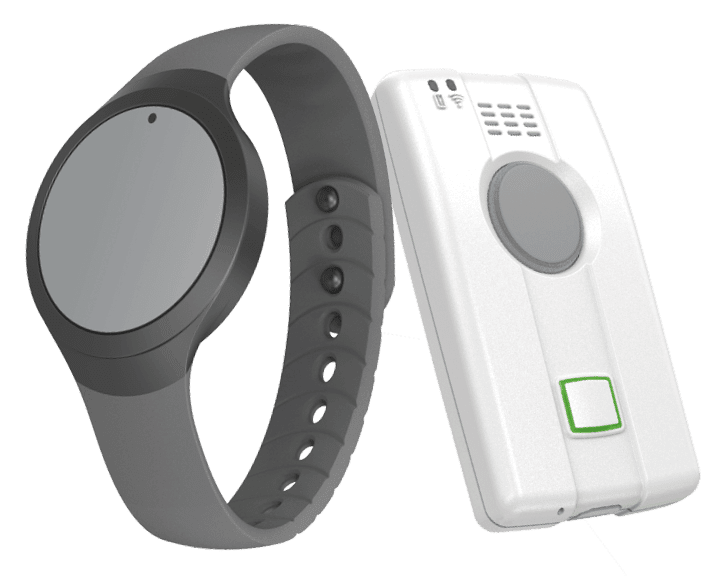 Our wrist pendant comes standard with the pro health system along with pocketMD. Yep! Skip the doctor's office and head straight to the pharmacy with 24/7 physician-on-demand. She has a face, body and endearing personality. 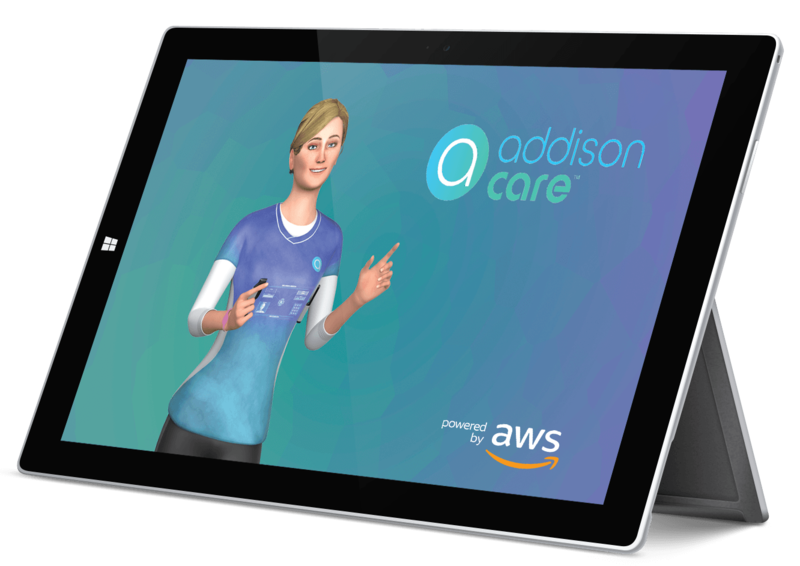 Meet Addison, a conversational speech interface including visual, Artificial Intelligence and ambient augmented reality, created by electronic caregiver, a division of SameDay Security, Inc. Set to transform the home into a full-time health and wellness environment, Addison appears on 15-inch media screens throughout a residence and provides support to consumers with features including medication management, care plan adherence, social experiences and instantaneous emergency response.